There’s an old saying on pride that goes: “Faults in others I can see, but praise the Lord, they’re none in me!” It’s a steel trap statement because one is snared in sin by the very act of claiming they have no sin. And it’s the biggest sin of all: Pride! 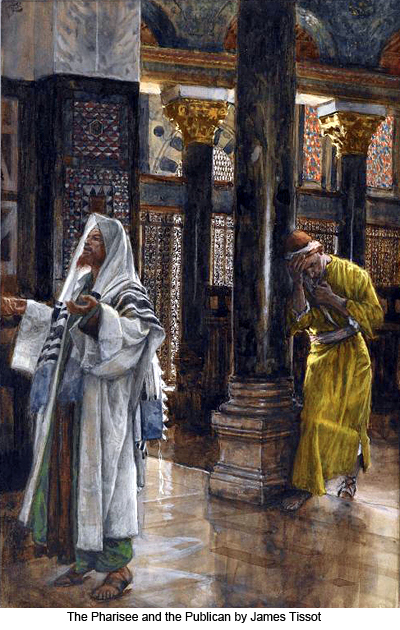 In today’s Gospel, the Lord illustrates this very point in speaking to us of two men who go to to the temple and pray. One man commits the greatest sin of all, pride, and leaves unjustified. The other, though a great sinner, receives the gift of justification through humility. Let’s look at what the Lord teaches us. 1. Prideful Premise – Jesus addressed this parable to those who were convinced of their own righteousness. When it comes to parables, it is possible for us to go right to the parable and miss the introductory statement that often tells us what spurred Jesus to give the parable. Many simply see this parable as being about arrogance. But there is more to it than that. Jesus is addressing this parable to those who are convinced of their own righteousness. They are under the illusion that they are capable of justifying and saving themselves. They think they can have their “own righteousness,” and that it will be enough to save them. Only Christ and HIS righteousness can ever close the gap, can ever get you to heaven. Even if we do have good works, they are not our gift to God, they are his gift to us. We cannot boast of them, they are his. Again Scripture says, For by grace you have been saved through faith, and this is not from you; it is the gift of God; it is not from works, so no one may boast. For we are his handiwork, created in Christ Jesus for the good works that God has prepared in advance, that we should walk in them (Eph 2:8-10). It is also interesting that the Lord, when telling the of the prideful Pharisee, indicates that he “spoke this prayer to himself.” Some think it merely means he did not say the prayer out loud. But others suspect that more is at work here, a double meaning if you will. In effect, the Lord is saying that his prayer is so wholly self-centered, so devoid of any true appreciation of God, that it is actually spoken only to himself. He is congratulating himself more than really praying to God, and his “thank you” is purely perfunctory and serves more a premise for his own prideful self adulation. He is speaking to himself alright. He is so prideful that even God can’t even hear him. Hence we see a prideful premise on the part of the Pharisee who sees his righteous as his own, as something he has achieved. He is badly mistaken. Not only is his remark foolish, it is also impertinent. For, it is a simple fact that you and I will not get to heaven merely by being a little better than someone else. No indeed, being better than a tax collector, prostitute, drug dealer, or dishonest business man is not the standard we must meet. The standard we must meet is Jesus. He is the standard. And Jesus said, Be perfect, therefore, as your heavenly Father is perfect (Matt 5:48). Now, somebody say, Lord have mercy! It is so dangerous, and a total waste of time, to compare our self with others because it wholly misses the point. The point is that we are to compare our selves to Jesus and to be conformed to him by the work of his grace. And, truth be told, any honest comparison of our self to Jesus should make us fall to our knees and cry out for mercy, because the only way we stand a chance is with boatloads of grace and mercy. It is so silly, laughable really, that we compare our selves to others. What a pointless pursuit! What a fool’s errand! What a waste of time! God is very holy and we need to leave behind the problematic perspective of looking down on others and trying to be just a little better than some poor (and fellow) sinner. It just won’t cut it. There’s a lot of talk today about being “basically a nice person.” But being nice isn’t how we get to heaven. We get to heaven by being Jesus. The goal in life isn’t to be nice, the goal is to be made holy. We need to set aside all the tepid and merely humanistic notions of righteousness and come to understand how radical the call to holiness is and how unattainable it is by human effort. Looking to be average, or a little better than others, is a problematic perspective. It has to go and be replaced by the Jesus standard. Let’s put it in terms of something we all can understand: money. Let’s say that we’re on our way to heaven and you have $50 and I have $500. Now I might laugh at you and feel all superior to you. I might ridicule you and say, “I have ten times as much as you!” But then we get to heaven and find out the cost to enter is 70 trillion dollars. Oops. Looks like we’re both going to need a LOT of mercy and grace to get in the door. In the end, we are both in the same boat and all my boasting was a waste of time and quite silly to boot. We have a task so enormous and unattainable that we simply have to let God grant it and accomplish it for us. And this leads to the final point. 3. Prescribed Practice – But the tax collector stood off at a distance and would not even raise his eyes to heaven but beat his breast and prayed, ‘O God, be merciful to me a sinner.’ Given everything we have reflected on, we can only bow our head and cry from the heart, “Lord have mercy!” Deep humility coupled with lively hope are the only answers. Realize your distance – the text says he stood off at a distance. He realizes that he is a long way from the goal. He knows how holy God is, and he himself is very distant. But his recognition of his distance is already a grace and a mercy. God is already granting the humility by which he stands a chance. Recognize your disability – The text says he would not even raise his eyes to heaven. Scripture says, No one can see on God and live (Ex 33:20). We are not ready to look on the face of God in all its glory. That is evident by the fact that we are still here. Scripture also says, “Blessed are the pure of heart for they shall see God” (Matt 5:8). This tax collector recognizes his disability, his inability to look on the face of God for his heart is not yet pure enough. So in humility he looks down. But his recognition of his disability is already a grace and a mercy. God is already granting the humility by which he stands a chance. Request your deliverance – the text says he beat his breast and prayed, ‘O God be merciful to me, a sinner.” Notice then how his humility is steeped in hope. He cannot save himself but God can. He cannot have a saving righteousness of his own, but Jesus does. So this tax collector summons those twins called grace and mercy. In this man’s humility, a grace given him by God. He stands a chance. For, by this humility, he invokes Jesus Christ who alone can make him righteous and save him. Beg for humility. Only God can really give it to us. The humble, contrite heart the Lord will not spurn (Ps 51:17). And thus Jesus says, whoever humbles himself will be exalted. Beware of Pride. It is our worst enemy. Beg for the gift of humility, for only with it do we even stand a chance. I have it on the best of authority that, as he left the Temple, the tax collector sang this song: “It’s Me O Lord, Standing in the Need of Prayer!” Here it is sung by a German choir which explains their unusual pronunciation of “prayer.” It’s OK though, I don’t pronounce “Geschwindigkeitsbegrenzung” (speed limit) very well either! Once again, your ability to break down and then synthesize the words of scripture – in this case, the words of Jesus, is so profound that I feel the need to thank you again and most of all to thank God. I deceived myself into thinking that I was the righteous one, until Our Lord allowed me to have a TREMENDOUS fall. This fall would be the equivalent of verbal mass murder. As we know, Our Lord allows something that is seemingly bad, in order to bring about a better good. I have no doubt this is the case with me and I hope and pray and trust that Jesus will work miracles for those whom I have offended so grievously. I am so conscious of my pride now that I find it creeps into just about everything. I have to check it continuously in myself. This fall has also allowed me to grow tremendously in hope and trust in the Divine Mercy of Jesus. I was tempted to despair but thank God that He helped me through that too. I am so very glad that scripture is full of sinners who became saints. This is an inspiration to us all and proof that we cannot ‘procure’ salvation on our own. We cannot give to Jesus anything that He has not already given us. The only thing that we can give Him that is truly ‘ours’ is our sins. And that is what He wants! He wants them so much that He died for them! Deo Gratias! The mention of “grace and mercy” reminds me of a simple explanation that I heard offered recently. Grace is receiving what we don’t deserve and mercy is not receiving what we do deserve. I suppose that action and, opposite and equal reaction, may be applicable here in that, by the manifestations of our imperfections we push ourselves away from God and, only the addition (intervention) of an outside (overwhelming) energy can draw us back. This energy is mercy or, that which is sent by the inspiration of mercy, which we can only become receptive to by using the honesty of humility. So, how honest was the boasting cleric, as he pointed the finger outwards and seemed to distract anyone (including himslef) from truly looking at himself? Look over there and over somewhere else. He did mention paying tithes and other interactions but, what about under this superficial? By judging others does he not usurp God’s right in an attempt to avoid being judged? But now, by trying to grasp the greater meaning, I stray toward judging the Pharisee; as I reflexively dodge truth by beginning to point outwards; instead of being inspired toward an open ness (to myself and others) of my own imperfection so, it’s time to admit that I be it a work in progress and – that’s all folks. Not only should we not look down on others, we should do all we can to help them reach heaven and ask them to help us. As Fr. John Hardon, S.J. used to say, no one reaches heaven alone, you have to take someone with you. 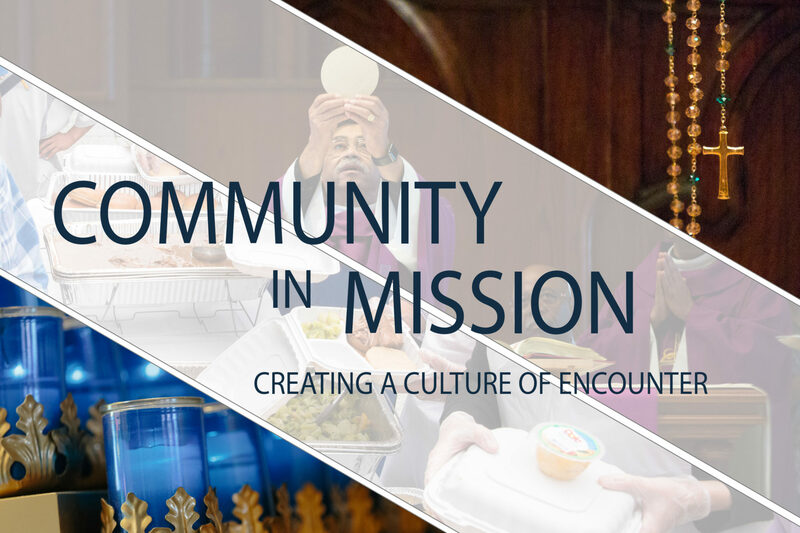 My first post to this article of blogism was entered very early in the morning and, later I went to mass and heard the reading and a very worthy homily. Was it by Grace that I stopped before completing the thought? Was it intended to teach me about humility? I do not know but that’s OK because I love the mysteries. I was surprised that there weren’t too many decent renditions from which to choose on youtube!